Since both my husband and I work full time, I try to cut down on the amount of time I spend cooking during the work week. One of the things that saves me time and energy when cooking for the week are whole chickens. I used to be rather afraid to cook whole chickens – I used only buy butchered parts – but damn I love whole chickens now! When I cook whole chickens, I either bake or rotisserie them. My favorite is definitely the Rotisserie. It’s super fast and easy! I received my rotisserie as a gift but you can buy one for about $80 and up. Take whole chicken and pat dry. Gently separate chicken breast skin from chicken breast (without removing), creating two pockets. Rub entire chicken with 1/4-1/2 tablespoon softened butter. 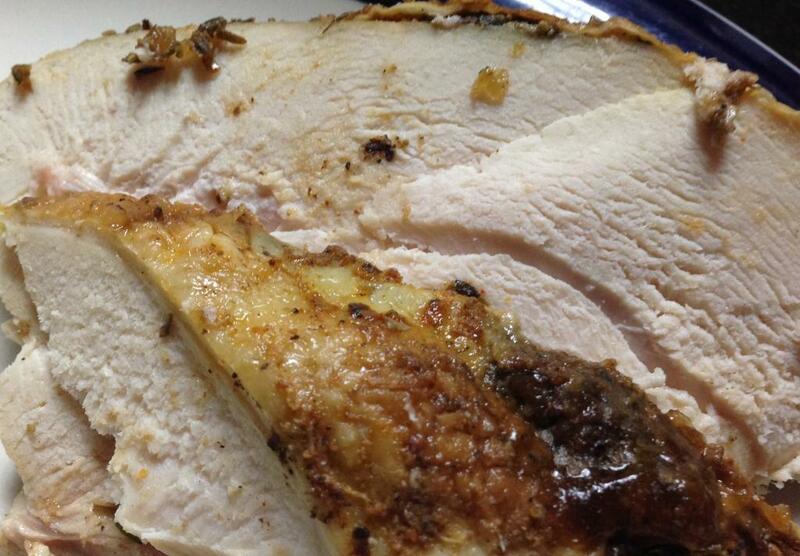 Season chicken with season salt (inside and out) and poultry seasoning – let sit for 3-5 mins while salt dissolves. Once salt dissolves, repeat until chicken is seasoned to taste. While chicken is resting with salt, take 1-2 tablespoons softened butter and place in small bowl. Add at least 1/4 teaspoon each of dried mustard, thyme, crushed rosemary, oregano, paprika, and basil. Mix until blended. Put about 1 teaspoon of butter-spice mix under each small pocket of breast skin. Put any remaining butter spice mixture inside chicken cavity. Season exterior of chicken with paprika. Tie chicken legs and wings securely with kitchen twine. Place chicken in rotisserie. Cook according to rotisserie instructions. 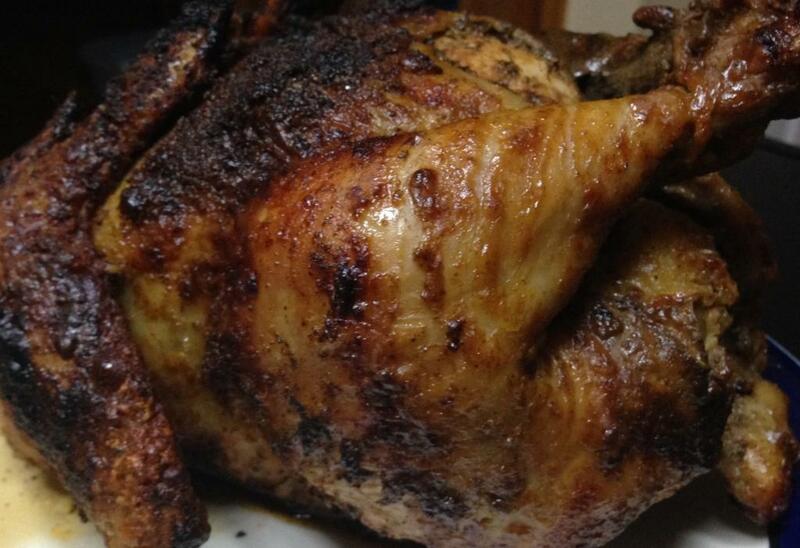 My rotisserie requires 13 minutes per pound, usually about 45 minutes to 1 hour depending on weight of chicken. Once chicken has completed cooking, remove from rotisserie and let rest for a short period. Cut and serve! I really like to serve this with herb rice and steamed or sauteed vegetables. Note: I am not a chef nor a photographer. My photos look very pedestrian and my measurements may be a little off as I do not really cook with a lot of measurement. Let me know if you have any issues and I will try to correct. Ooo… this looks good. Whole chickens (or whole dead animals in general) usually freak me out. I offered to host Thanksgiving once and had to have my mom come over cause the turkey grossed me out. But I might have to toughen up, because this really does sound delicious! And I know how you feel about whole things. The first 3 times I cooked turkey for Thanksgiving I had to buy TWO because I always destroyed the first one, lol.